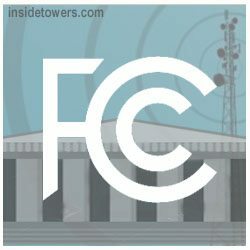 Many critical decisions about repurposing C-band spectrum are being discussed at the FCC, Inside Towers reported last week in: “O’Rielly: Many C-Band Decisions Are ‘TBD.” Chief among those concerns are the financial ramifications. The C-Band Alliance, comprised of Intelsat, SES, Eutelsat Communications and Telesat, has been thinking about costs as well. The Alliance and specifically, members SES, Intelsat and Eutelsat, earlier this month detailed to the Commission satellite transponder migration plans that describe how the satellite operators would accommodate their existing U.S. C-band satellite customers using only 300 MHz of spectrum. They say that’s the minimum of the 3.7-4.2 GHz band that must be preserved for fixed satellite service. Intelsat and SES sent a “binding commitment letter” to customers, agreeing to manage their migration and “earmark an amount equal to 120% of the estimated spectrum clearing costs” to pay customer expenses related to the C-band spectrum repack, they told the FCC. Eutelsat submitted its own migration plan to support that of Intelsat and SES. Some users will need to change satellites, requiring end users to re-point their antenna. “Each of these changes requires labor, and in some cases, equipment expenses on the part of the End User. Under the CBA’s proposal, all reasonable costs resulting from the need to clear spectrum and mitigation expenses to prevent 5G interference, will be reimbursed by the satellite operators,” says the Alliance. Comments? Email Us.